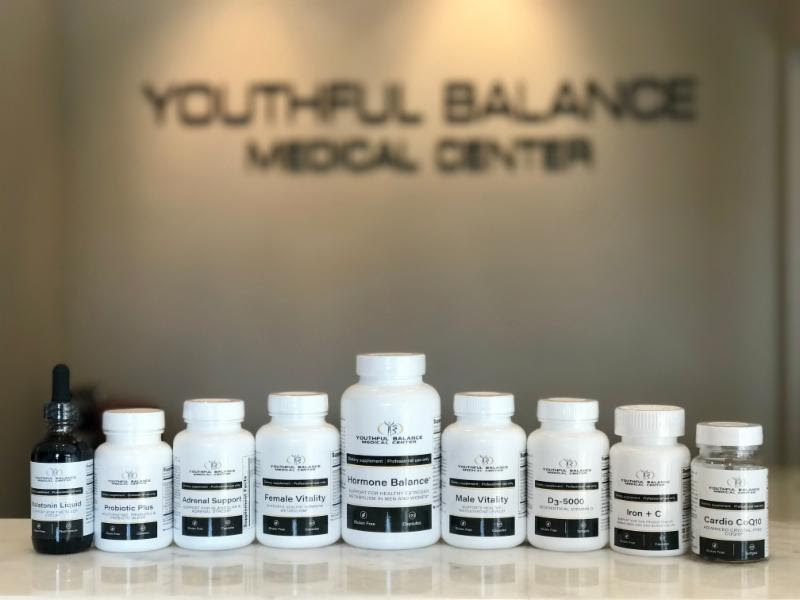 Introducing Our Very Own Line of Pharmaceutical Grade Supplements! DIM Plus* supports healthy estrogen metabolism for men and women. DIM (diindoylmethane), enhanced by curcumin and black pepper extract (BioPerine), has been found to increase levels of “good” estrogens and may result in relief of symptoms associated with estrogen dominance. Carb Block* is an advanced formula providing comprehensive glycemic and metabolic management support. Containing three powerful blends such asPrenulin, Phase 2 Carb Controller and Innoslim. DHEA 25* is a steroid hormone produced by adrenal glands and called the “Mother Hormone” due to its ability to be converted to other vital hormones such as estrogen, testosterone, progesterone, etc. Levels of DHEA drop dramatically after 30 and scientists believe this may be one of the reasons for aging. Pregnenolone* is a prohormone that is synthesized from cholesterol and can be converted to progesterone, DHEA and other hormones. It has been studied for its potential to promote sleep quality and memory, as well as its possible anti-aging properties. Liver Cleanse* contains 4 key ingredients to support healthy liver function. D3-5000* is a natural, soy-free, bio identical vitamin D supplement. Male Vitality* supports healthy testosterone levels. Select ingredients in this formula have been proven clinically effective in supporting sexual health and energy, promoting healthy cortisol levels and providing dopamine support. Female Vitality* supports healthy hormone metabolism in women. Also included in this formula are select proven clinically effective in supporting sexual health and energy, promoting healthy cortisol levels and providing dopamine support. Melatonin Liquid* is a potent antioxidant that helps regulate the sleep/wake cycle and defends against free radicals and helps support glutathione activity in neural tissue.